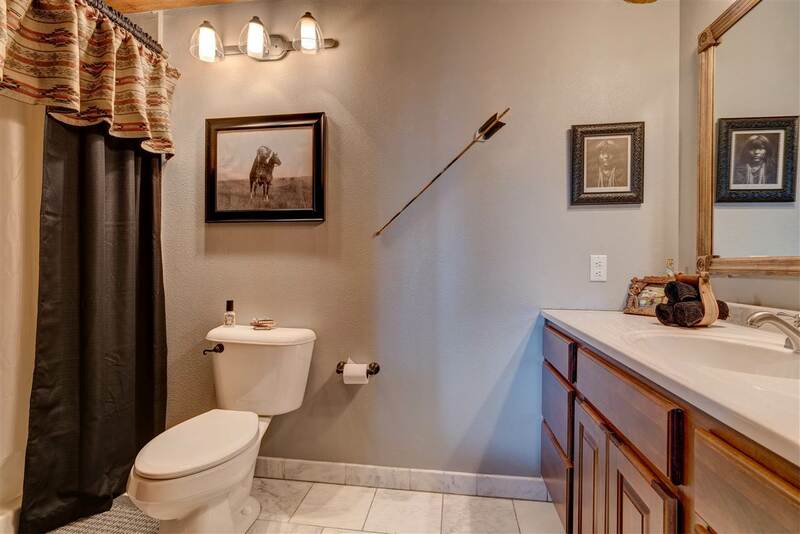 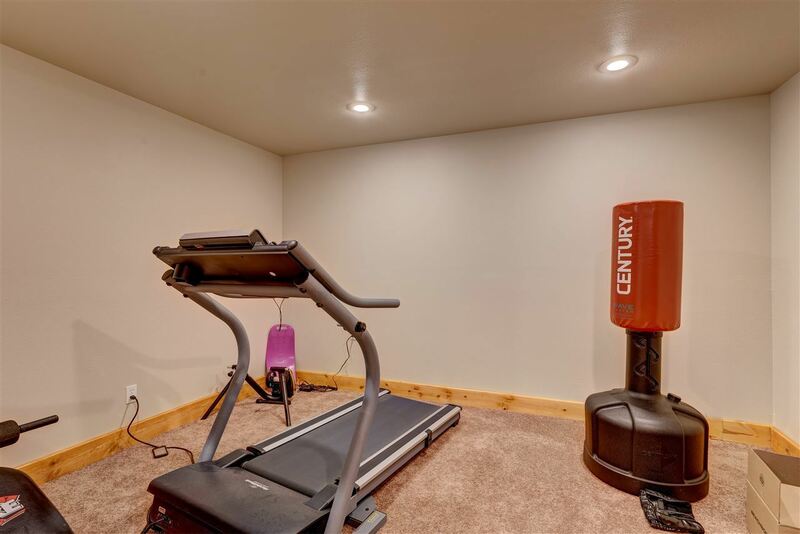 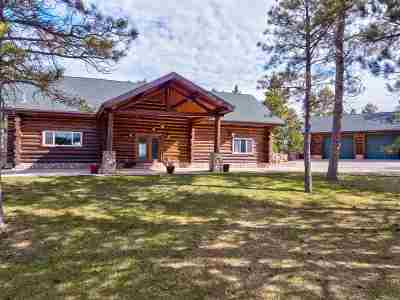 Call or Text Listing Agent -Sue Cramer - The Real Estate Center of Spearfish - 605-645-2391 for more information. 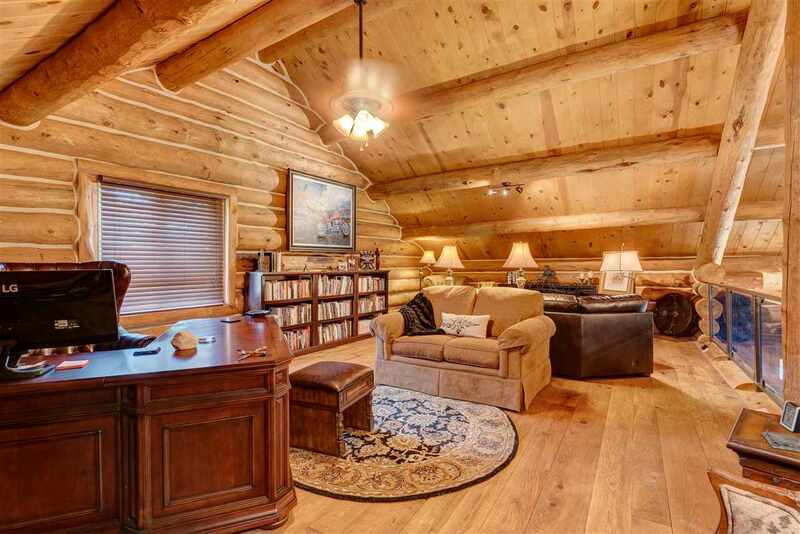 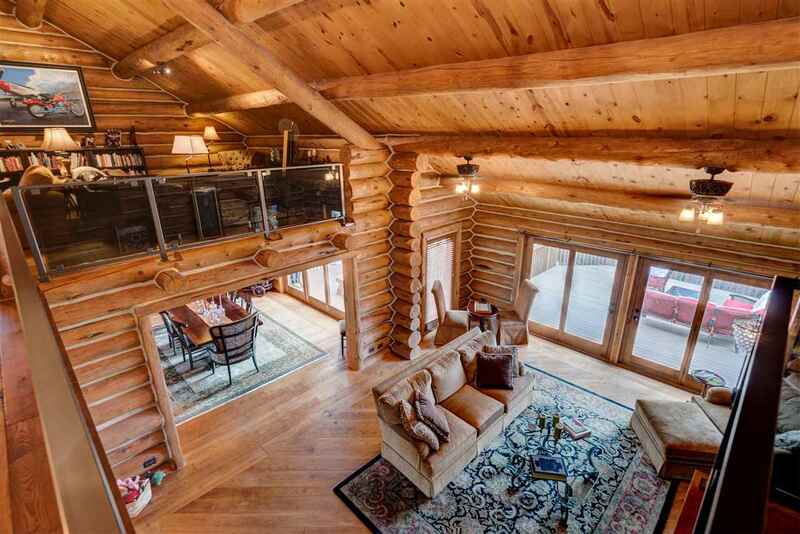 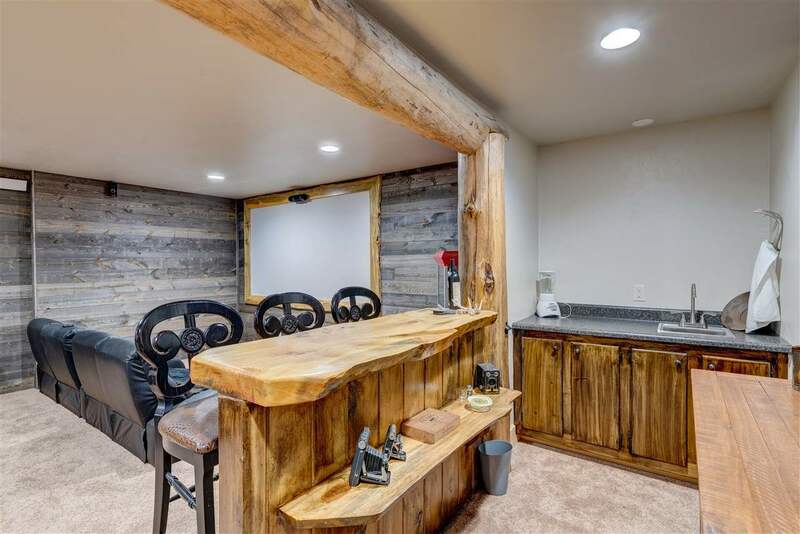 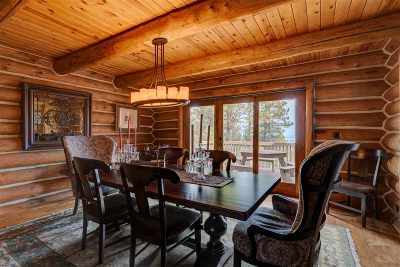 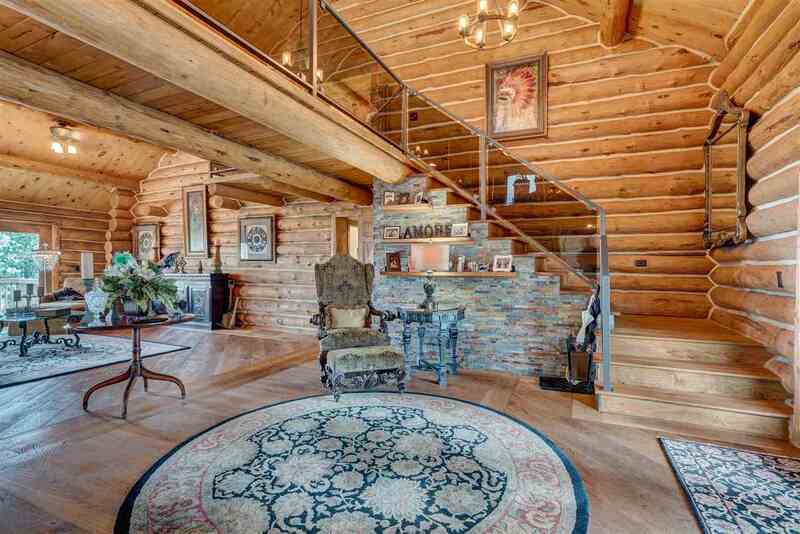 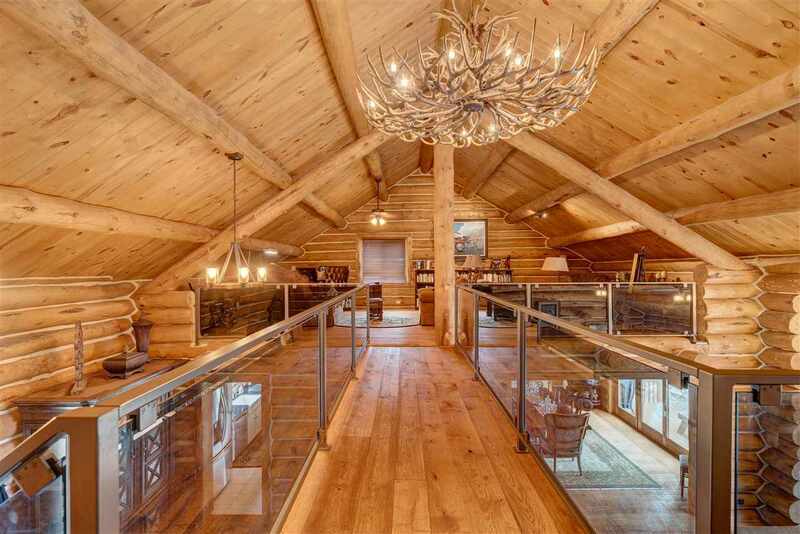 A beautiful log home with a modern touch and views, views, views. 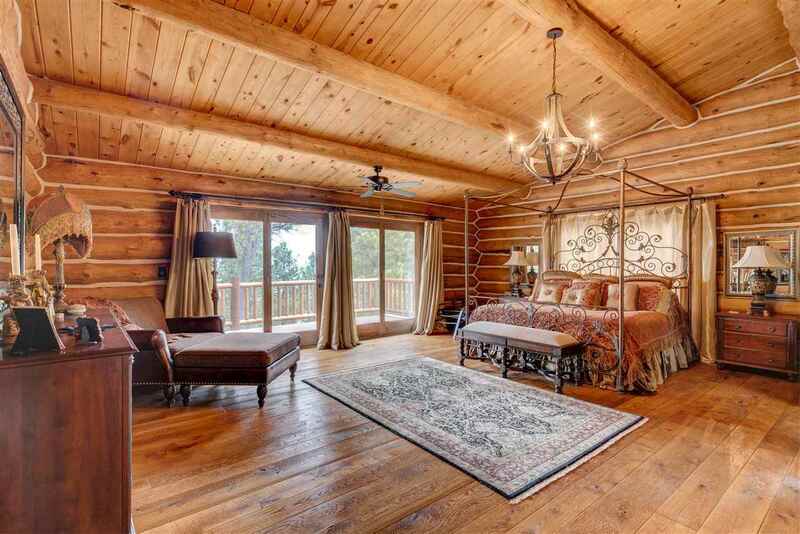 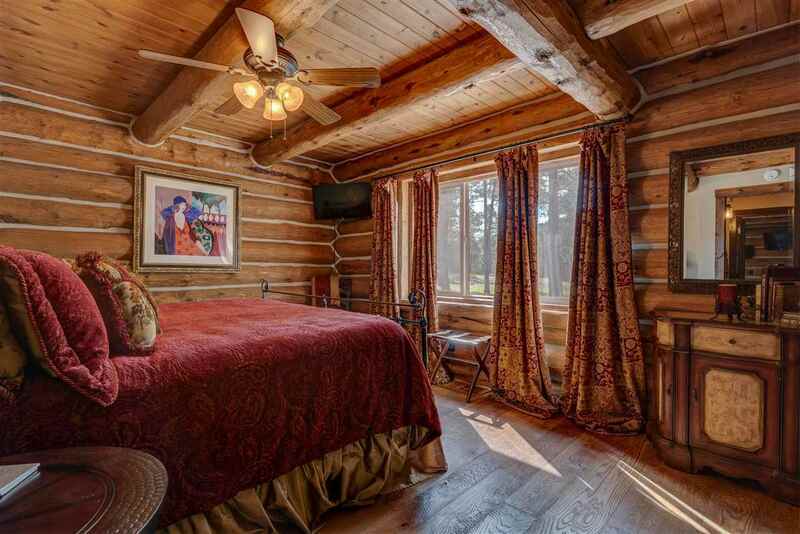 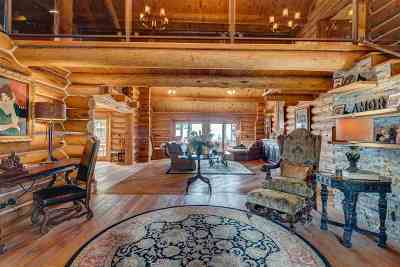 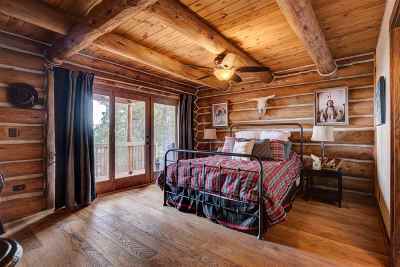 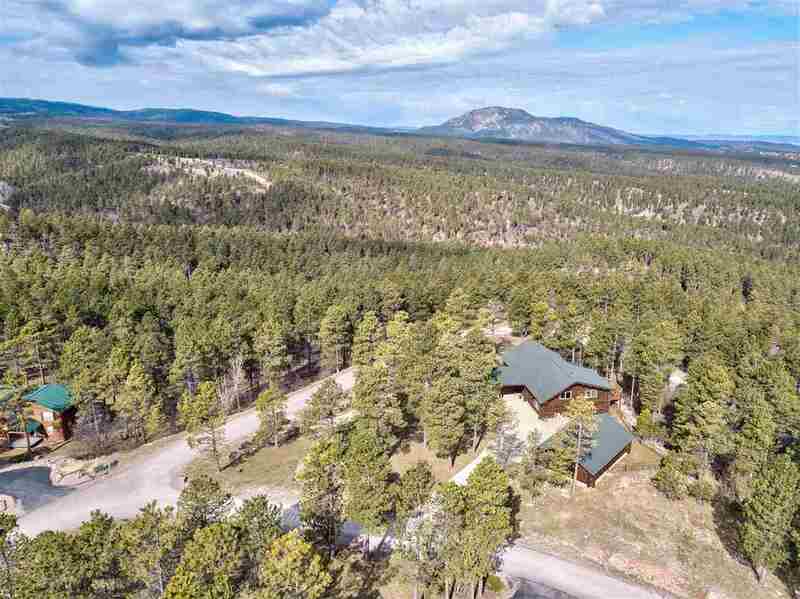 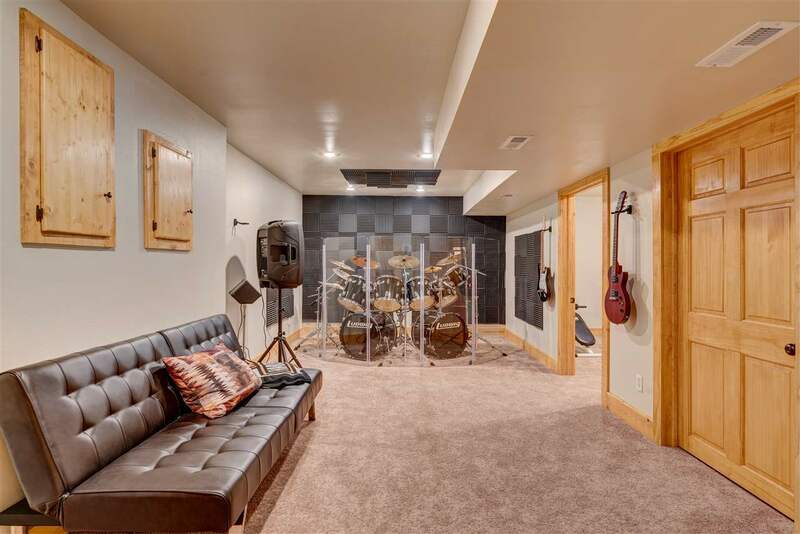 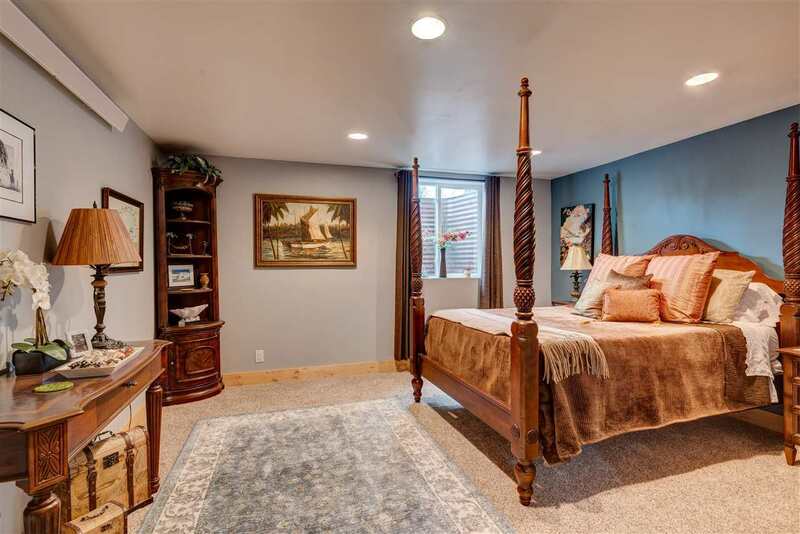 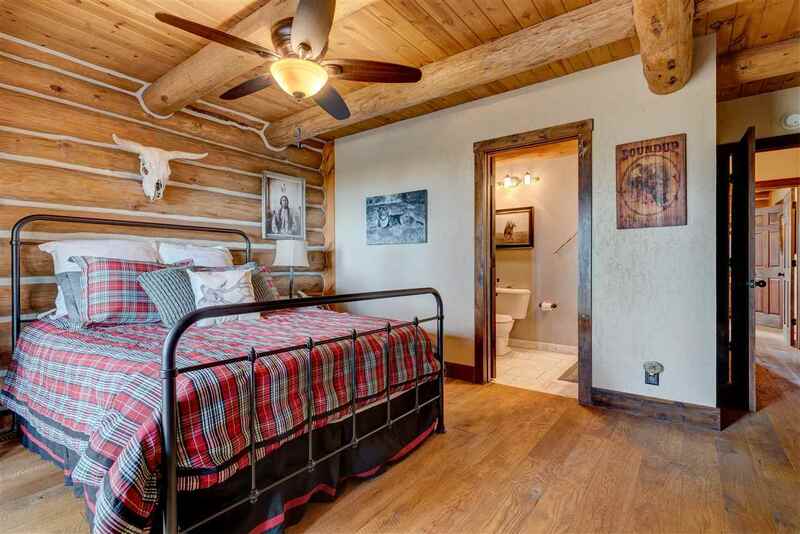 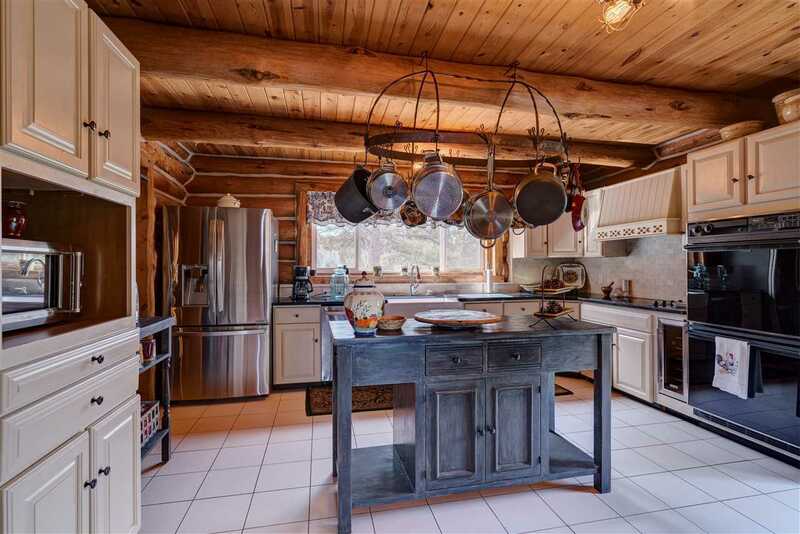 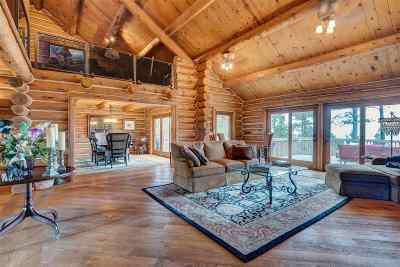 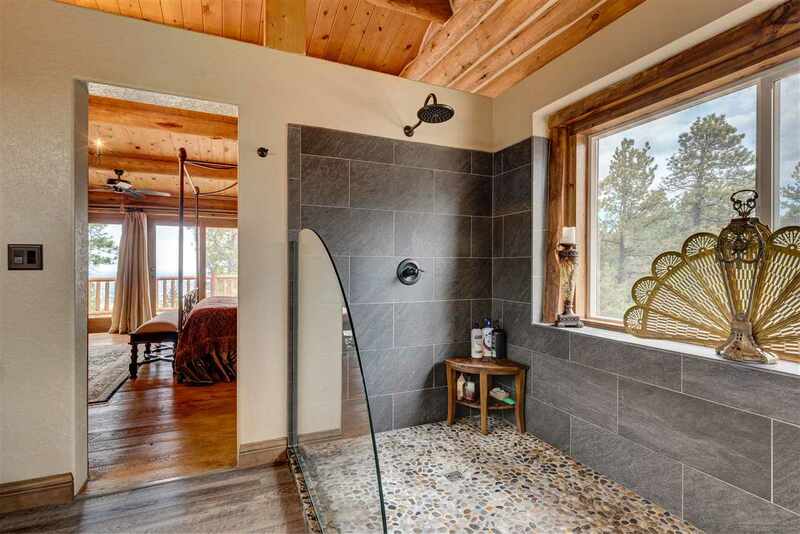 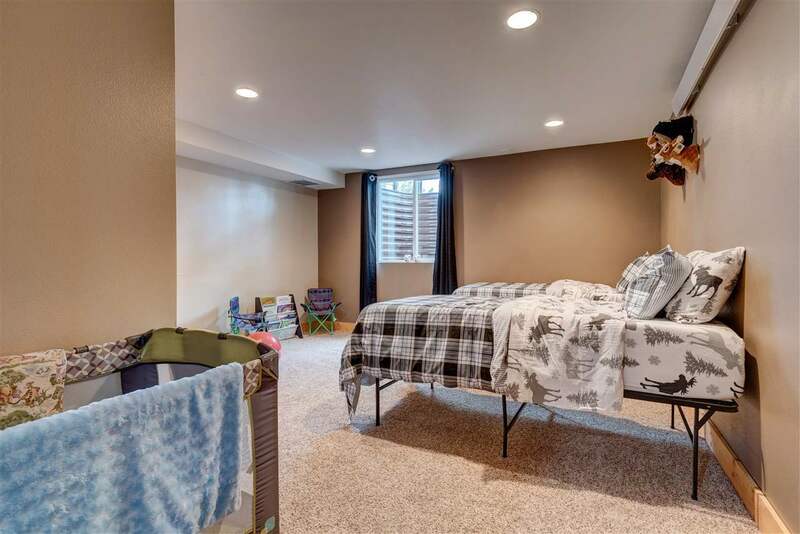 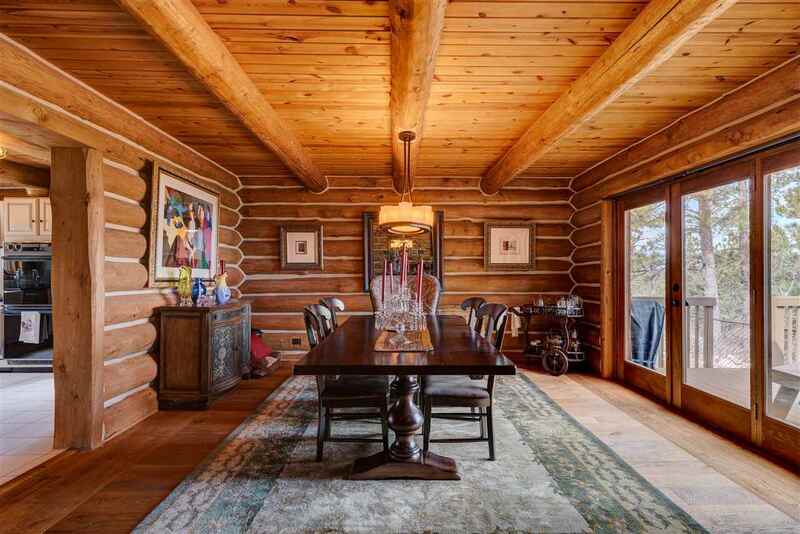 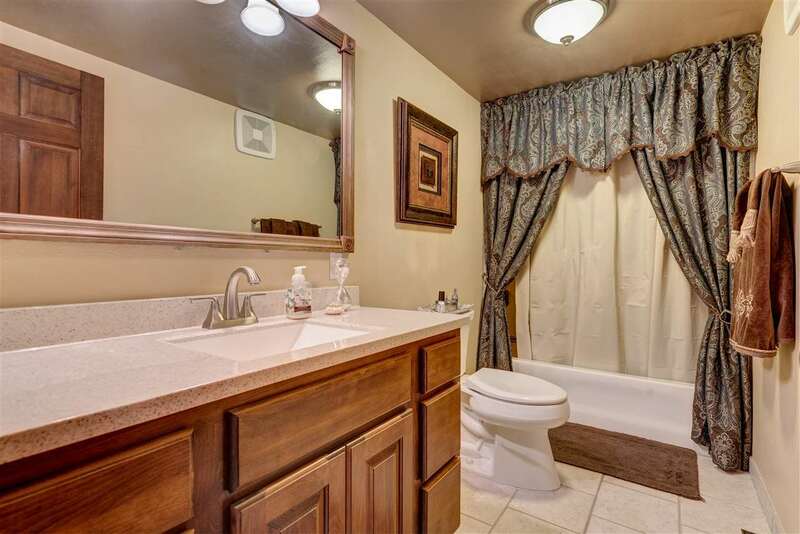 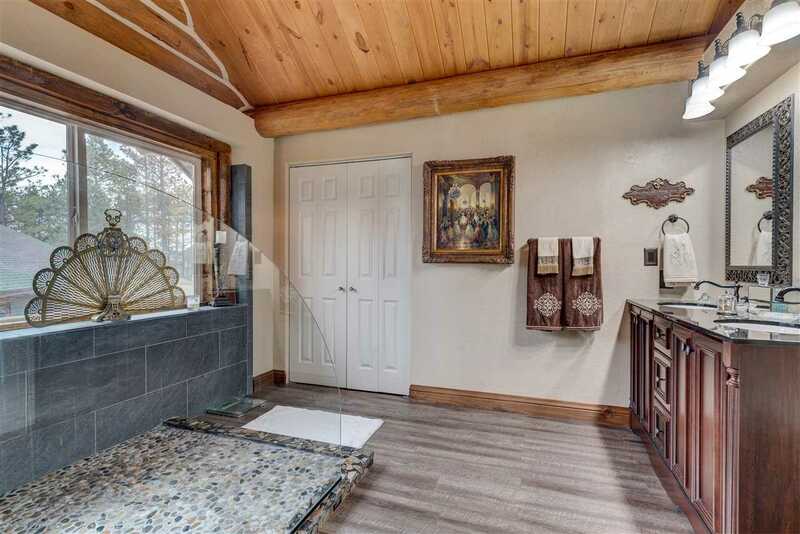 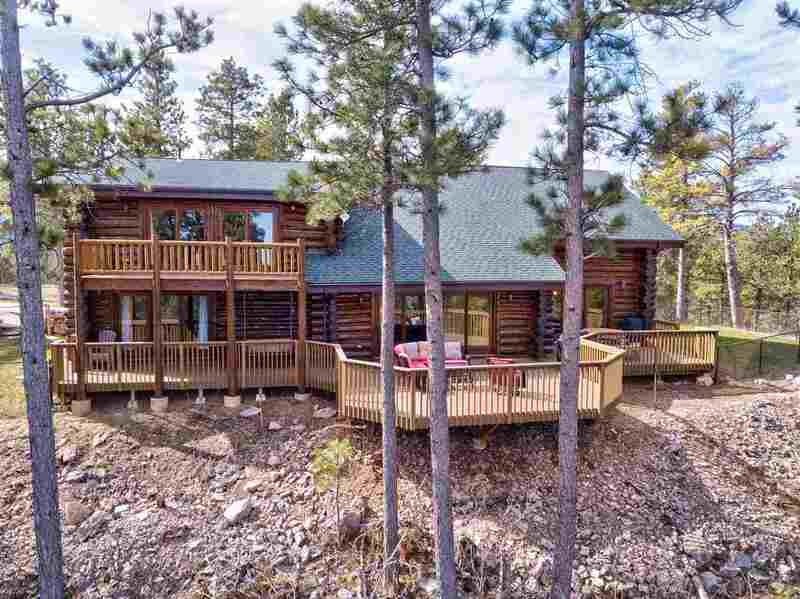 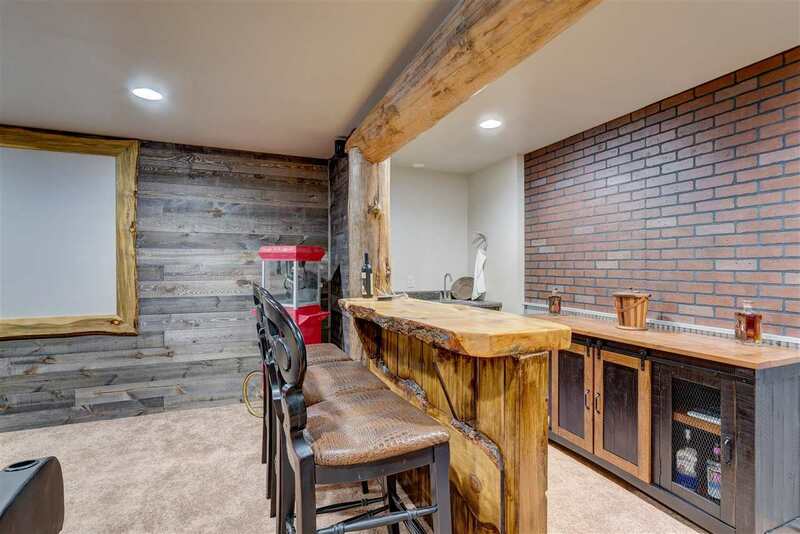 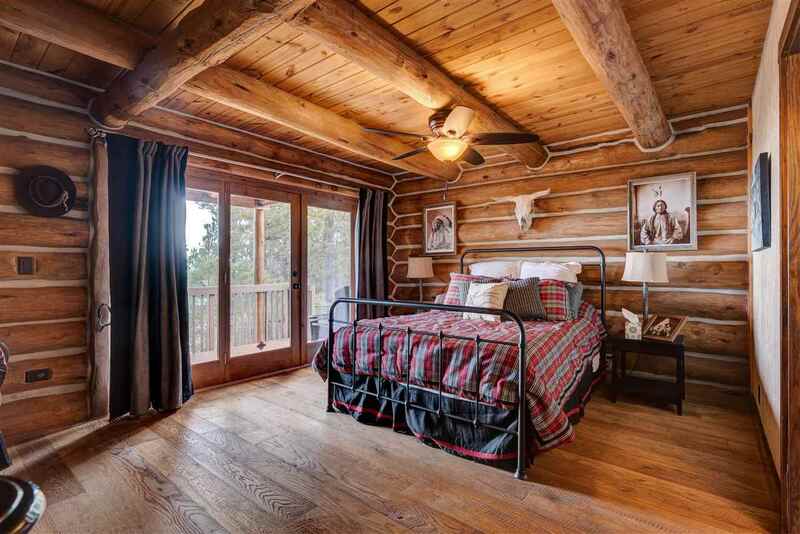 Paved roads take you to the peak of Mountain Plains II where this 5 bedroom home is nestled in the pines on 2.89 acres & features views as far west as Wyoming, out the back & Spearfish Mt. 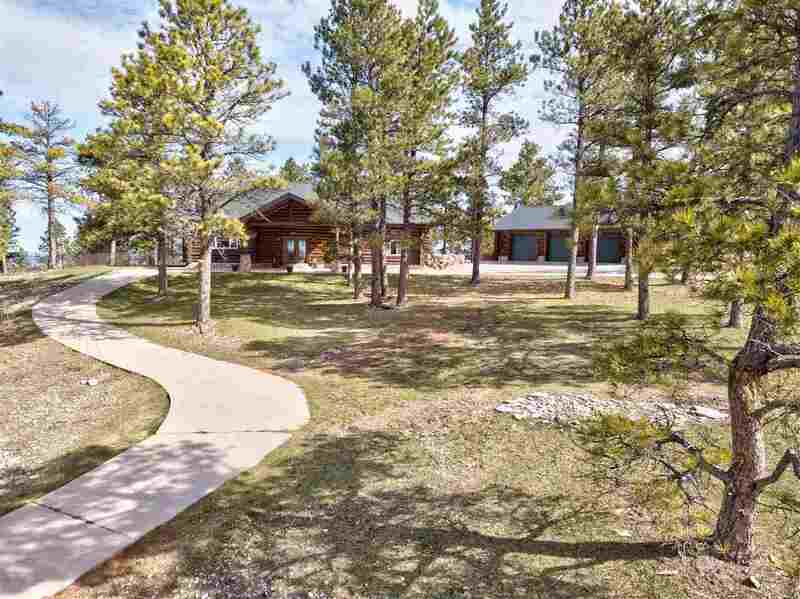 out the front. 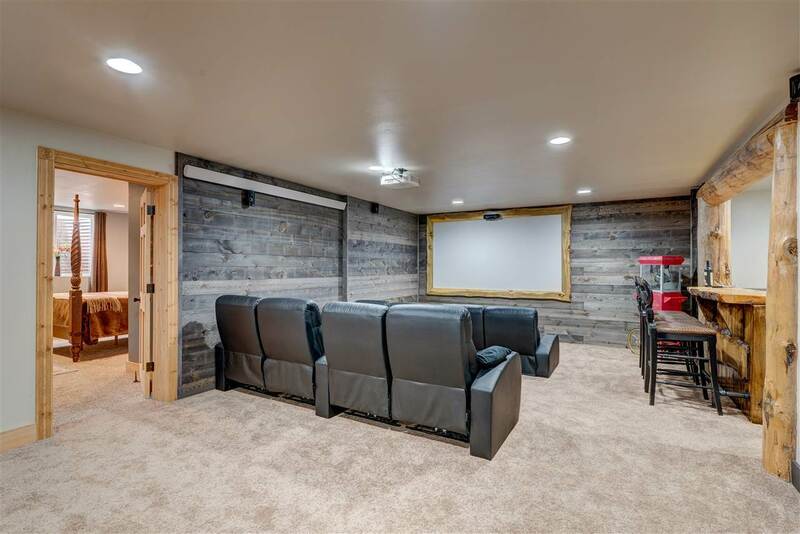 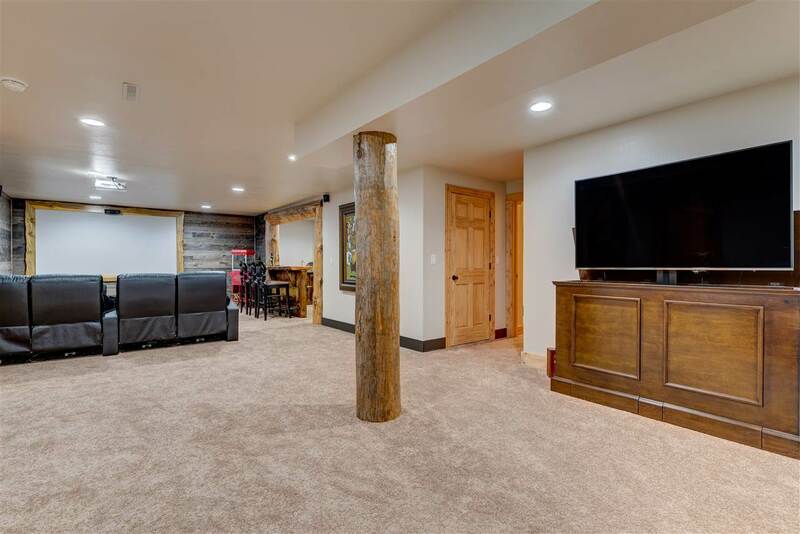 Upon entering the home from the covered drive you&apos;ll be greeted with the grand room accented by a cultured stone stairway that leads to a log traverse. 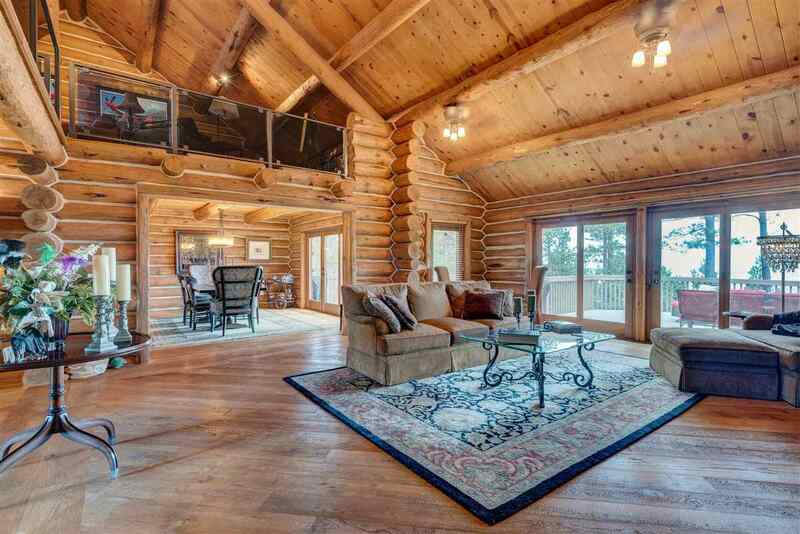 The warmth from the quarter sawn white oak floors radiates throughout the home and compliments the local pine accents. 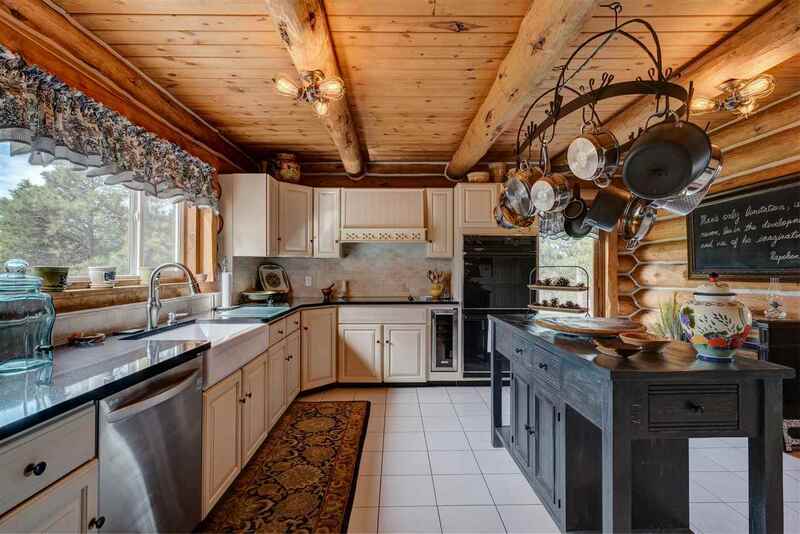 Quartz countertops in the kitchen with a double-oven, built-in stove top & beverage frig. 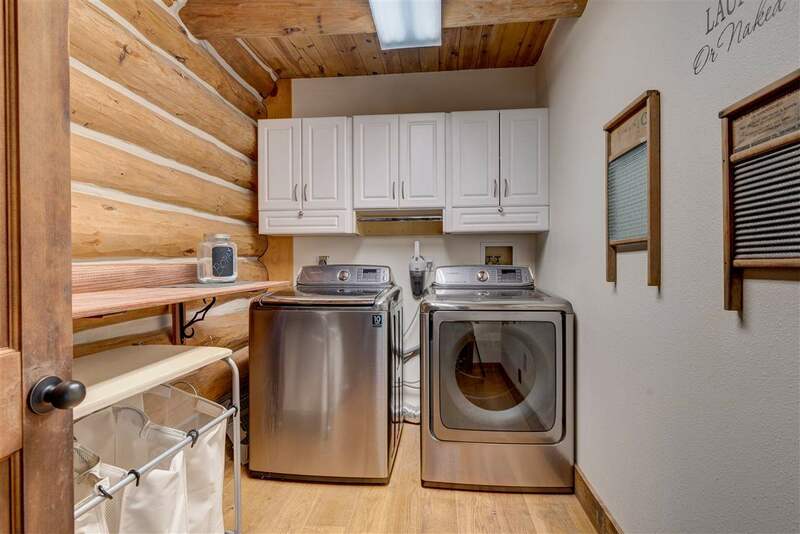 All stainless steel appliances.